Vita+Life cookware is healthy, ceramic non stick. Our cookware contains no PFOA or PTFE chemicals and uses the most up to date Swiss ILAG Ceramic Surface. This stunning range comes in four stylish colours, and work on all kinds of cooktops! Casada massagers are portable and easy to use. 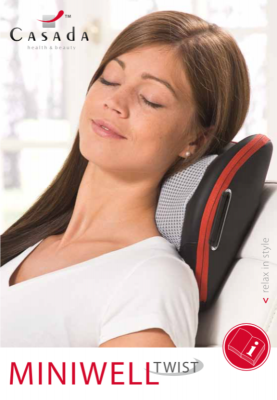 Using Shiatsu, vibration and heating, these massagers relieve muscle tension, strengthen muscles and promote healthy blood flow while you are at home or away!